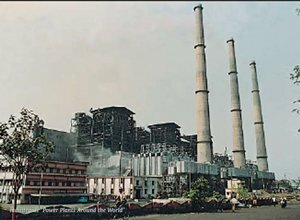 The district of Bokaro commonly known as the steel city came into existence in the year 1991. It is situated on the Chhota Nagpur Plateau and was formed by carving out one subdivision consisting of two blocks from Dhanbad district and six blocks from Giridh district. The district headquarters is at B S City which is located at latitude of 23.29 and longitude of 86.09. 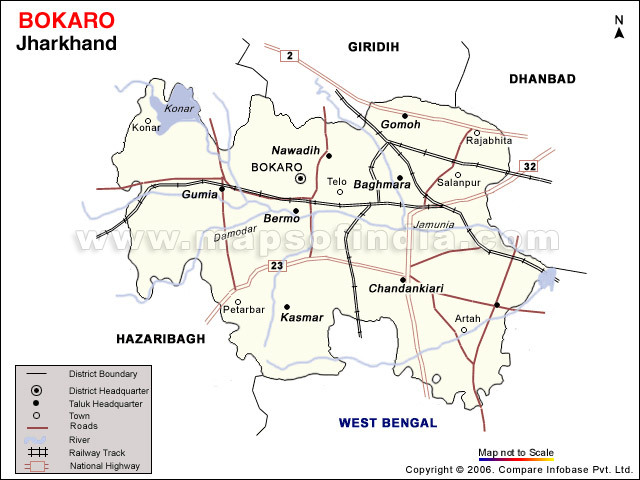 The District Bokaro has a Geographical area of 2861 sq Km and 357663.36 Hectares of Land. The Average altitude of the Land is 210 mts from mean sea level. The nearest small town to the steel city is CHAS. BOKARO STEEL CITY & PLANT, CITY PARK, GARGA DAM etc. Air:There is no direct air connection but SAIL has a private air belt at Bokaro. Rail:Bokaro is near Dhanbad, which is on the main Delhi-Howrah railway line. 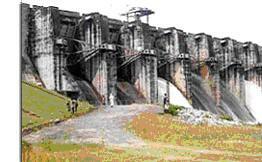 GARGA DAM: Bokaro City is located in picturesque surroundings on the southern bank of river Damodar with Garga, one of its tributaries meandering along the southern and eastern outskirts of the city. On the north, the city is flanked by the high ranges of the Parasnath Hills and on the south just beyond the river Garga, it is enveloped by the Satanpur hillocks. CITY PARK: City Park, Bokaro has a well-maintained City Park with an artificial lake. Recently three artificial islands have also been created.This park has a variety of animals and birds and a modern aquarium is another attraction located in sector. 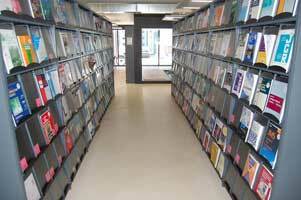 BOKARO ISPAT PUSTAKALAYA: Bokaro Ispat Pustakalaya is located near Bokaro Niwas, it has a collection of over 40,000 books that meets the reading requirements of the people in the township. 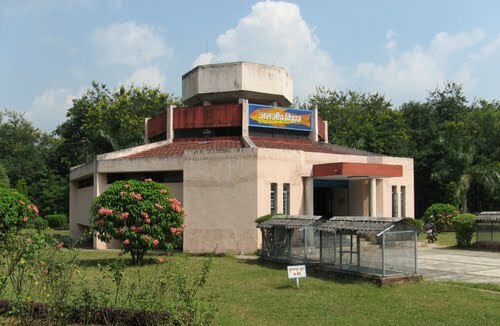 JAWAHARLAL NEHRU BIOLOGICAL PARK: Jawaharlal Nehru Biological Park is a Biological Park named after Jawaharlal Nehru with a variety of animals and birds and a modern aquarium is another attraction located in sector 5.